Benefits And Efficacy Citrus Austalia For Health - Healthy T1ps - Orange is one of the fruits that is a favorite of many people. The fruit from East Asia and Southeast Asia, then spread to the western hemisphere and evenly throughout the entire world. 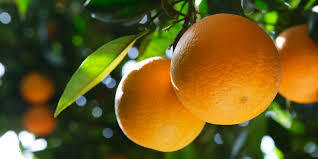 Oranges themselves can grow well in climatic conditions with temperatures ranging from 2 to 30 degrees Celsius, with a height of 0-400 meters above sea level. In everyday life, oranges can also be called with lime. In Australia, from June to October is the season of citrus fruits. Although Australia has the structure of soil is not very fertile, but not necessarily good enough to plant fruit trees on this one. Australia may not have a citrus fruit which is typical for their country. But basically various types of citrus fruits such as mandarin oranges and navel oranges can flourish in this continent. In fact, Australia became one of the suppliers of citrus fruit in several countries in Southeast Asia, including Indonesia. In Australia alone there are exciting and fun to travel by picking a variety of fruits, including citrus fruits travel. Most than citrus orchard frequented the fruit season is Fords Farms in the area Wisemans Ferry NSW. Meanwhile, if you want to travel while enjoying the navel orange juice or tangerine mandarin, you can go visit the orchard Penrith Vallet Orange Orchard in Castlereagh NSW. Consumption of citrus fruits on a regular basis to help prevent you from getting high blood pressure or hypertension. Due to the potassium content of orange are important vasodilation, thus allowing the blood pressure can be controlled properly. In fact, according to research, maintain levels of potassium intake in the body increase the reduced risk of death caused by various diseases. As it is known that citrus fruits contain a lot of the benefits of vitamin C which these vitamins act as antioxidants to our bodies, and to help fight the damage of skin cells that are often caused by toxins or poisons spread of pollution and damage to the cells by the sun. By consuming citrus fruits, indirectly help to prevent wrinkles from the body and helps improve the texture of the skin to remain soft toned. Meanwhile, to get a smooth skin, you just need to rub citrus fruit pieces on the part of your body by first rubbing part of the body using a scrub or pumice. For best results, do not forget to use a moisturizer afterwards and do it regularly. Free radicals are one of the sources causes cancer in humans. To fight it, the body needs antioxidants as a shield. Therefore, the content of antioxidants in citrus fruit including excellent high for consumption as a source of our body shield facing the free radicals. Besides useful to prevent free radicals, vitamin C rich citrus fruits it also helps protect the body from various diseases. The benefits of high antioxidant helps in improving the body's immunity so it is not susceptible to disease. In fact, eating a citrus fruit that is sized just means you have to meet around 72% of the daily vitamin C requirement. The hair is a crown. Healthy hair, black and shiny is the pride of every person. In order to get such beautiful hair, is not enough to just put shampoo, then a lot of people who do not rarely willing to spend a budget surplus to get the best care on his hair. But you know, it turns out the only citrus fruit you can get beautiful hair, healthy, and shiny. How: citrus fruit split into several parts and then squeeze to get its juice. Well, the orange juice is then rubbed on satiap combing your hair to evenly to all parts of the head. Then a bit of sunbathing in the sun to dry out the hair slightly. Thus, you will get beautiful hair shiny. The content of vitamin C, potassium and choline contained in australia citrus benefits can help maintain a healthy heart and kidneys. Regular consumption of citrus fruit makes the risk of death from heart disease was reduced, and prevent you from getting kidney stones. Consuming citrus fruits can help you avoid the disease cataracts because the benefits of citrus fruits also contain vitamin A which plays an important role in maintaining eye health. Consuming citrus fruit on a regular basis was also able to help increase appetite. This is particularly useful for those who want to promote weight loss. The content of fructose in fruit juice is a natural sweetener that creates a sweet taste in the fruit also can help regulate blood sugar levels in our body when consumed on a regular basis so as to prevent diabetes or diabetes. Although citrus fruits contain a lot of benefits, you should still pay attention to the condition of the body when consumed. Avoid eating grapefruit for those who have stomach problems because there will be an increase in stomach acid. Although the reaction is different in each individual, it helps you who have a history of ulcer disease or do not consume grapefruit too much and often.